It's funny how the past seems to repeat itself. Back in the day, prior to receiving an official filter for Standard Pauper on Magic Online, one issue that came up from time to time was that certain cards would appear as legal for the format even though they weren't. You see, since Wizards often shifts certain cards from Common to Uncommon, particularly in Core Sets, you end up with cards that were Common in a previous set but are now only Uncommons in the current Standard set. In fact, this was such an issue that I created a video detailing exactly how to use the old client to determine whether or not a card was Standard Pauper legal. Fortunately, with the creation of the Standard Pauper filter, this ceased to be a problem. At least, until the new client came out. "Sorry, we were unable to join you to this event. Please try again later. This is not a legal deck. Internal deck code: DECKY"
3. Under the Products pull down menu, select "Magic: The Gathering"
4. 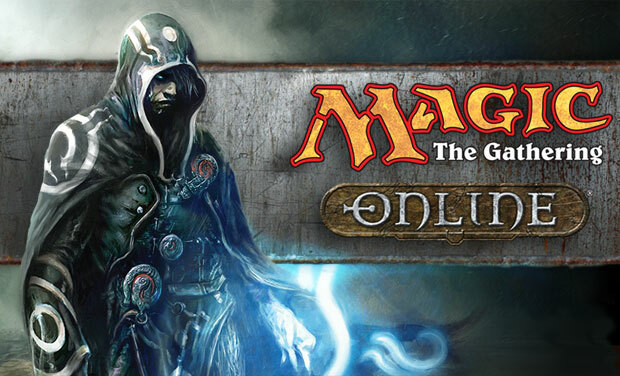 Expand "Magic: The Gathering Online"
5. Expand "Magic reimbursement / Report a bug;" be sure and enter "0" as the event number. Hopefully this bug will get fixed soon. But the best way to make sure that happens is if we keep bugging them about it until they do so! Stab Wound will be legal until RTR rotates. Just wanted to let everyone know that I had wrote a deck validation tool and format editor for Gatherling that solves this entire problem. If you enter a card that is still in the current sets for standard pauper, but is now an uncommon instead of a common, making it illegal for Standard Pauper, gatherling will generate an error and name the offending card so you can easily correct this problem. This feature is available on Gatherling.com. I had submitted this code to jamurra about a year ago, but he has not yet found that time to implement this on pdcmagic.com yet. I guess I forgot to mention that although the code I wrote is not available on pdcmagic.com, it is in the gatherling.com implementation along with many other improvements.